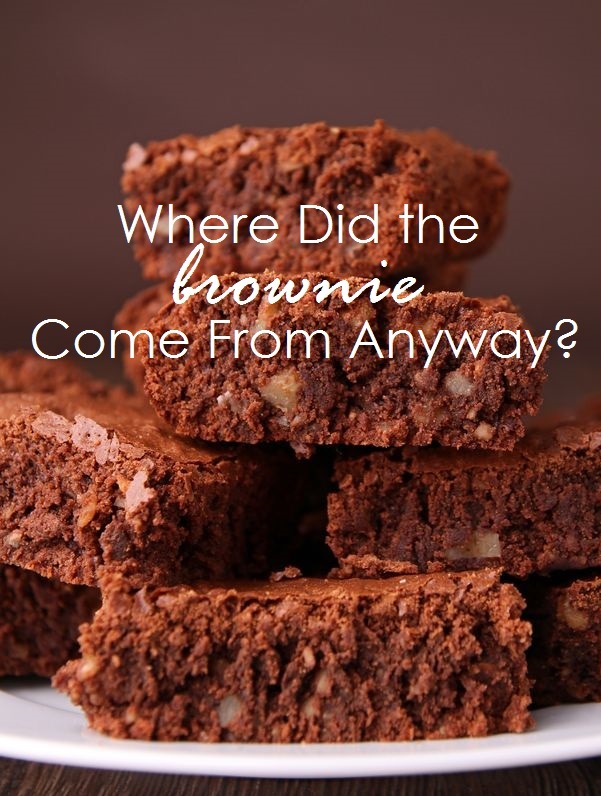 As with other popular recipes and foods, there are many theories and myths surrounding the origin of one of America’s favorite treats—the brownie. One common myth on the origin of the tasty treat, includes a chef melting chocolate into a batch of biscuits by mistake. A similar version of this story states that the chef ran out of flour and got creative. The most popular tall-tale cites a homemaker in Bangor, Maine who was baking a chocolate cake for her family—inadvertently forgetting the crucial ingredient: baking powder—resulting in a brownie-like dessert that she served in the individual squares. Unfortunately, there is no hard evidence to verify any of these popular theories and myths. Many experts agree that the first presentation of the brownie as we know it today came about at the Palmer House Hotel in Chicago, Illinois during the World Columbian Exposition, which took place in 1893. It is said that the wife of the hotel owner, Bertha Palmer, created this treat with her kitchen staff as a dessert to fit into boxed lunches during the Women’s Pavilion portion of the Exposition. Many think that the first use of the word “brownie” was in the Boston Cooking-School Cook Book, published by Fannie Famer in 1896. However, her recipe is very different than the chocolate-treat we enjoy today. It included no chocolate and is thought to more than likely have resembled what we think of as a blondie today. Finally, in 1904, with the publication of Cook Book published by the Service Club of Chicago, the brownie as we know and love today—with chocolate—came into existence. The recipe entitled, “Bangor Brownies,” referred to the previously discussed myth of the Maine housewife who accidentally created this magical treat. We all know and love the classic chocolate brownie, created over 100 years ago. In recent years, many gourmet bakeshops have concocted new and unique formulations, adding diversity to this classic American treat. Brownie Points, for instance, boasts over 20 flavors of brownies—including their one-of-a-kind breakfast brownies in flavors like caramel macchiato, lemon blueberry swirl and pineapple right-side-up cake. Many bakeshops also put fun, seasonal twists on the classic treat, like The Vermont Brownie Company who’s festive, Fall flavors include a maple toffee crunch brownie and an apple blondie. Despite the diversity of flavors which have emerged in recent times—the classic chocolate brownie is still one of the most popular treats in America today. Although many bakeries work to put their own unique spin on the classic, the traditional chocolate brownie has a place in our hearts forever. There are still many bakeries perfect for those that prefer traditional, basic brownie formulations including the famous Tate’s Bakeshop, which sticks to the classics offering five basic flavors resembling the traditional variations discussed above like classic brownie, blondie and pecan. Similarly, New York Brownies offers four traditional brownie varieties including walnut, chocolate chunk and original. No one will ever know for sure how the brownie treat we enjoy on a regular basis came to be. However, one thing we do know is that we sure are glad that the brownie is a delicious part of American life today! Check out other places to find gourmet brownies – from the classic to fun twists on a favorite cakey, fudgy treat – by reading our reviews on gourmet brownies. The Many Varieties of Brownies – Yes, There’s More Than Just One!